All of this is to say that recently I have been thinking a lot about my own allegiances as a translator, and about how accepting the responsibility of translating a text may demand the translator to take stances whose implications go beyond the matter of the text. 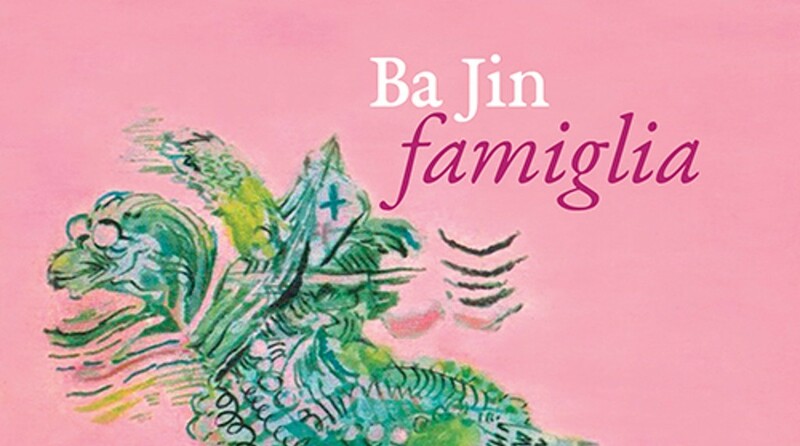 At the beginning of 2017 I was asked by the Italian publishing house Atmosphere Libri to translate Ba Jin’s novel Jia (1931/1933), a classic of modern Chinese literature that chronicles the intergenerational conflict between old ways and progressive aspirations in an upper-class family of Chengdu during the turmoil of early republican China. Jia had already been translated into Italian by Margherita Biasco in 1980, but when Beijing’s Renmin wenxue chubanshe, which holds the rights to Ba Jin’s novel, offered Atmosphere Libri to subsidize a new edition of their bestselling classic, the conditions seemed right for a new edition of the novel. Like with many other works written in the highly polarized political climate of early twentieth-century China, when it comes to a text like Jia, choosing the right edition becomes a matter of crucial importance, in that it entails assumptions pertaining not only to the translation’s style, but also concerning the political dimension surrounding source text and translation. Ba Jin’s work matured during China’s Zeitgeist-shattering transition to modernity and its restructuring as a socialist republic from the remnants of its old imperial past, the early political experiments and the civil war interlude that followed the Xinhai revolution in 1911. After the foundation of the People’s Republic of China in 1949, a strong ideological grip took hold of the country, and in order to impose a new ideological orthodoxy that would ratify beyond doubt the new institutional apparatus established by the Communist Party, hundreds of “reactionary” books were banned, and many writers were put under close scrutiny. These conditions gave rise to authorial and editorial practices of censorship and self-censorship that characterized and continue to characterize China’s literary production to this day. The case of Ba Jin, an anarchist who—as the story goes—forged his pen-name from the Chinese transcriptions of Bakunin (Baguning) and Kropotkin (Kelupaotejin), is exemplary of how a controversial author came to terms with the powers that be. Though an early supporter of the CCP, Ba Jin never officially joined the Party’s ranks, and this choice would affect his life and work almost until his death. With the onset of the Cultural Revolution in 1966, Ba Jin became an easy target for the renewed revolutionary fervour of Mao Zedong’s red guards, and suffered a brusque ideological embargo which would outlive the decade of revolutionary unrest, and disrupt the writer’s life until the end of the 1970s. Such a condition of ideological vulnerability, together with the very practical necessity to shield himself from institutional persecution, deeply influenced Ba Jin’s authorial praxis and the maturation of his work. The case of Jia is exemplary of this climate of intellectual unrest. The novel’s wide popularity placed the text at the centre of the censors’ gaze, and this unprecedented attention made it in turn the object of continuous rectification on the part of its author starting from the early 1950s. This long gestation was marked by the dozens of re-editions of the novel that followed its first publication in volume format in 1933. Such a complex editorial history informs and is embedded in the novel’s translation: translating 1930s Ba Jin is different than translating 1950s Ba Jin, and both these “authors” are different from the one who survived the Cultural Revolution, went through political rehabilitation, and gained Nobel-worthy recognition in recent times. The scale of these revisions is significant, and their nature a matter of ongoing debates among scholars of modern Chinese literature. As Spanish translator Taciana Fisac remarked, even though many ideologically-aligned scholars from mainland China claim that these changes served the purpose of making the novel more closely adhere to its historical background, a comparative reading of Jia’s different editions rather confirms the eminently ideological nature of these revisions. Moreover, [the servants] knew that the road would not be long and that they would soon arrive at their destination; then they would be able to kill the rest of their time beside the opium pipe or card table . . .
From such passages, all mentions of opium-smoking and gambling would be removed in favor of more lenient views toward the servants. In the second case, Ba Jin would conversely add details to the characterization of his heroes in order to highlight more clearly the ideological allegiances at stake. Jia’s female heroin Qin provides a telling example of these enhanced characterizations on the part of the author: Qin, the reader is told, is an avid reader of Ibsen, whose character of Nora from A Doll’s House she looks to as a model for her own emancipation. In the earlier editions of the novel, there is no mention of Ibsen in relation to this character, yet its later addition allows the reader to connect character and scene to, for example, Lu Xun’s famous lecture and essay “What Happened to Nora When She Left” from 1923—“a blistering attack on the status and treatment of women in Chinese society, arguing that prostitution or starvation was the only fate for a Chinese woman who fled from the tyranny of her family.” Reading Ba Jin’s Qin as a “Chinese Nora” conveys new depth to the character’s understanding, qualifying Ba Jin’s late revision of the text as a meaningful addition to the story. The X Company for which Juexin worked was responsible for running the market, which comprised a mixture of shops, including the company’s business premises. The company organized the shop rentals and other services in the market. The one business in the city that specialized in selling new books and magazines occupied a tiny corner on the left side of the arcade and Juexin and his brothers thus developed extremely close ties with this bookshop. The West Sichuan Mercantile Corporation, for which Juexin worked, besides renting out shops in the market, ran a small power plant that supplied electricity to its tenants and other neighboring shopkeepers in the streets nearby. The market was very large and housed all kinds of shops. The company’s business premises were located inside the arcade, from where it organized shop rentals and other services. “The Place for the Distribution of Chinese and Foreign Books and Magazines” was located on the left near the rear door of the arcade and, because it sold new books and magazines, Juexin and his brothers developed extremely close ties with this bookshop. As Fisac notices, the “Place for the Distribution of Chinese and Foreign Books and Magazines” did actually exist, and its owner Chen Yue’an (1889–1927) was a well-known Communist activist during the period in which the novel is set, whose contributions to the dissemination of the Party’s message are still recognized today. Indeed, it was also through shops such as this one that the younger generations gained access to new books, authors, and ideas; as Chinese scholar Wu Fuhui remarked, these places played an important part in disseminating reformist and revolutionary ideas from China’s centers in Beijing and Shanghai to peripheral cities like Chengdu. Nevertheless, the question remains: how is it possible to draw clear boundaries between revisions motivated by stylistic concern, rather than by ideological repositioning? In the latter case, how can we assert if a given ideologically-motivated revision was borne out of “genuine” conviction on the part of the author toward the cause at hand, rather than political convenience if not unmitigated coercion? And finally: if it is the author himself, in full autonomy of choice, within safer borders and in safer times (such as in 1984 Hong Kong) to explicitly request his publishers to preserve his revisions, should the translator ignore such a position? The translation I eventually gave to my editors corresponds to the version of the novel that a Chinese reader would find today on the bookshelves of mainland China, Hong Kong, and Taiwan. This version is not based upon the original serialization of the novel from the 1930s, but relies on the text that was refined by Ba Jin during the course of his whole life, after his fall from the Party’s grace, his rehabilitation, and final canonization. In my opinion, ignoring such a stratification of information would imply, for better and for worse, ignoring the novel’s own history and the author’s personal experience in favour of a fetishism of the original that would not necessarily benefit the text’s fruition. In his book Translation as Metaphor (Routledge, 2018), Reiner Guldin has extensively argued against the conceptualization of translation as a zero-sum process of mechanical, A-to-B delivery from one language to the other. For an overview of the changes undergone by the novel since its publication, and to gain an idea of the complexity of the question at stake, see for example Taciana Fisac’s “‘Anything at Variance With it Must Be Revised Accordingly’: Rewriting Modern Chinese Literature During the 1950s”, in The China Journal 67 (January 2012), 131–148. Taciana Fisac, “‘Anything at Variance With it Must Be Revised Accordingly’: Rewriting Modern Chinese Literature During the 1950s,” 141–142. Lorenzo Andolfatto is a researcher and translator of modern Chinese fiction. He received his PhD in Asian and Transcultural Studies from the Ca’ Foscari University of Venice and the Jean Moulin Lyon-3 University of Lyon in 2015, and after one year of teaching and research at the Department of Translation of the Chinese University of Hong Kong, has joined Heidelberg University’s Cluster of Excellence, “Asia and Europe in a Global Context”, as a research fellow. His research interests include early modern Chinese literature, science fiction, and utopian writing in a comparative perspective; his most recent translations (into Italian) include Ba Jin, Chan Koonchung, and Chai Chunya.